The ongoing information explosion has created a situation where it’s now impossible for any one person to stay up-to-date with the changes in any topic area (unless that topic is perhaps so minute in its focus that only a few dozen are following it and contributing to the existing body of knowledge). Not surprisingly, I cannot find statistics on what those topics would be. I do recall years ago a learned colleague of mine mentioning a friend whom he said was the world’s leading expert on the “semiotics of the circus.” Indeed I see today that if I Google (with quotation marks) “semiotics of the circus” I find only 28 entries, three of which reference an earlier version of this article. No doubt there are additional references in academic texts and journal papers (Google Scholar lists six) but I do believe that should this subject grab your interest, you may indeed find that you could reach a point where you were comfortable that you were aware of all that is known on the topic. Now try and become all-knowledgeable about the future of publishing. I spend a great many hours in this Sisyphean quest, but feel like I lose ground with each moment spent. The message is the same whether you live by just three categories or by four or five. At the core of the information explosion is just numbers and provable facts – raw and bare – still subject to interpretation and augmentation. When you are able to find context, then knowledge may result. If you have a brain that can interpret this knowledge, and extend the knowledge beyond its obvious implications, you may become wise. Few do. But then wisdom is not a commodity, as information is. While we can access the thoughts and writings of the wise from the Internet they don’t come with certificates of wisdom issued in our names. Just because people read a message, doesn’t mean that they understand it. There is an inherent risk in all forms of communication. It’s clearly our good fortune that there is a great deal of data/information available on the Internet. And of course, as with this Web site, it is possible to take advantage of much of this free information. Can we find “knowledge” on the Internet? Perhaps. Wisdom? Less frequently. Nonetheless, there has never been a richer and deeper accessible source of data and information than on the Internet. But, sadly, there is now far too much information at our disposal. And so we need to approach our quest for data, information, knowledge, understanding and wisdom with careful planning. The plan must address two challenges. The first is simply trying to improve our methodology for seeking data and information, and transforming that into knowledge, understanding and wisdom. The second is more mechanical and matter-of-fact. We need to learn how to filter the data that only distracts so that we can get on with the task of understanding. 1. The last several decades have seen an essential shift in the raw material of knowledge, of education – indeed of the creation and expression of culture. Moving from a position of never knowing if you had the answer, or whether the answer was available, or whether you were just searching the wrong sources, we now find ourselves in the reverse position. We find thousands of links on Google, but still must ask at each link: Is this information I have uncovered an authoritative or definitive word on the subject, or should I keep looking? Is the source to be trusted (c.f. Wikipedia)? How do I assess this possibly tangential or inaccurate information? 2. The authority of the author and publisher are thrown into question. If we can question our own methods of seeking information and knowledge, how are we to approach any other person’s purported statement of fact, of truth, of knowledge? 3. How will people successfully restructure their daily lives to physically and emotionally cope with information overload? Many studies indicate that this is becoming an increasing source of stress and even illness, and certainly of declining productivity for most workers. 4. Most importantly, where are the tools that can provide the filters to information we can trust? We are still awaiting “intelligent avatars.” Mark Anderson, famous for his Strategic News Service, has proposed a relatively radically alternative (for more see my blog entry on the subject). The concept behind his new service, SNS iNews, is joining a trusted community of personal and mutual interest, and then looks to the news solely from that community. We would ordinarily join multiple communities to cover our varied information requirements – a trusted community is the key element (something Google certainly does not provide). The information explosion attacks us from every angle. For example the Internet Movie Database (IMDb) states that it lists 1,472,014 individual film/TV productions (games and more), and some 3,128,262 names of people who have worked on these productions. Ah, perhaps you’d have no trouble absorbing this soupçon of film and TV credits. Perhaps you’d like to get a handle on what people are blogging about. Technorati, a blog search engine and directory, indicates that it has indexed 133 million blog entries since 2002. As mentioned in my section on book publishing, according to Bowker, publishers in the United States, United Kingdom, Canada, Australia and New Zealand released 375,000 new titles and editions in English in 2004. Further Bowker reports that in 2008, as a result of on-demand print technology, “total output (in the U.S.) rose 38%, to 560,626 titles.” Bowker’s Books in Print offers a database of “over 5 million book, audio book, and video titles.” For the ambitious reader, that’s over 1,000 books per day just to keep up. My prayers go out to those who speak several languages! There was a time when mankind’s entire knowledge held in book form was less than a few hundred volumes. The notion of absorbing all of this knowledge within your lifetime was not in the least fanciful. “So Many Books” is a delightful short tome by Gabriel Zaid, published in Spanish in 2003, and in an English translation in 2004 (it is still in print). As the dust jacket explains the book is far-ranging, full of history, philosophy, and thoughts about books and about reading. It also contains some excellent data very relevant to the consideration of information overload. In 1450, after the invention of Gutenberg’s press, 100 titles were published per year, or 0.2 per million inhabitants of the planet. By 1950, when color television was approved by the FCC, there were 250,000 titles published per year (in all languages), or 100 per million inhabitants. By the year 2,000, one million titles were published; 167 per million inhabitants. Just as fascinating, Zaid lays out the cumulative bibliography (total number of books published) over time. He estimates that by 1550 it had reached 35,000 titles; by 1850 it was 3.3 million, and by 2000, an astounding 52 million. 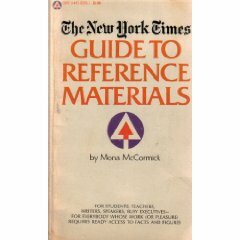 I have a used book, published originally in 1971 (though now out of print), written by Mona McCormick, called The New York Times Guide to Reference Materials. It cheerfully proclaims that with all of the search technology available, and the “relatively” modest number of volumes, it is still possible to “know” all that has been written and discovered. She specifically states: “So, after all, the information explosion is still a challenge we can meet.” Though now obviously a false statement, it clearly represents the pre-Internet sense of how we could cope with the information at our disposal. The Internet has laid waste to that claim. So why is this important to our exploration of the future of publishing? Simply stated, the information equation has radically changed. In order to get a handle on a subject, it’s no longer significant to aim for the assimilation of large amounts of information. It’s far more important to find the appropriate and authoritative tools and methods that also restrict the amount of information you’re exposed to. So, as you contemplate the truly vast information resources on our planet, pause twice: once to remember your own human limitations in absorbing that which you can access, and second in lamenting the many information sources that are somewhere between difficult and impossible to locate. I come back to the central tenet of how to cope with information in the Internet era. The challenge is to find the information you need, to make sure that it is timely, and at least reasonably accurate (measured against the “New York Times” scale “All the News That’s Fit to Print” – whatever that might mean today). The downside is that you will be inundated with tough-to-sift-through garbage. The upside is that you will find facts and analysis previously available only to graduate students and their professors. A further downside is that certain copyright holders are still holding onto their data for dear life, and not making it available on the open web. This first claim is profound and unsettling. Though the statistics are dated, they point to the very clear idea that there is much more “information” available today than any human can possibly peruse. But despite the laser printer, much less is printed now than it was a decade ago. I believe this to be the case, although Hewlett-Packard may not. We become accustomed both to reading on the screen, and to parsing the information offered. More significantly, and perhaps more subtle way, “The Information Avalanche” tells another story. Source: 1992 Conference Teach America, quoted by Gary Starkweather. 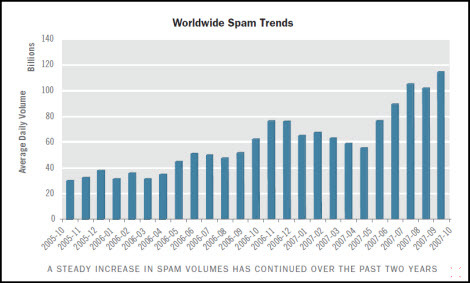 The awkwardly-named May 2010 site update to the 2008 PDF report, The Digital Universe Decade – Are You Ready?, offers additional insights into issues related to information explosion, albeit with a specific focus on data storage concerns. The latest report states that “between now and 2020 the amount of digital information created and replicated will grow to an almost inconceivable 35 trillion gigabytes as all major forms of media – voice, TV, radio, print – complete the journey from analog to digital.” This report estimates that by 2020 the digital universe will be 44 times the size it was in 2009. The simple proposition behind this argument, that serendipitous encounters with the unexpected broaden one’s perspective and possibly make us more questioning and involved citizens, is not worth disputing. I do however dispute the foundation on which this argument is based. It assumes first of all that traditional media actually did expose readers and viewers and listeners to ideas and information and points of view that might jolt them out of their myopic worldview. It also assumes that the Internet in some way inhibits serendipity. I question deeply whether unexpectedly encountering a wire service story in a print periodical of a recent terrorist attack in India offers anything of value to the reader. The story will be brief and superficial. Context will likely be non-existent. Commentary will be provided generally by conservative commentators: American politicians and/or the current ruling powers in India. Does this make the reader a stronger participant in democracy? It’s true that Web users can easily filter out any and all stories about India with the tools now available. But, far more significantly, should they encounter information about what’s happening today in India, they have at their disposal the richest resources in history to dig quickly and deeply into the story, and to discover a range of viewpoints never available from the North America media. The information explosion can be blight or a blessing. Keep faith in the citizenry: those who care are becoming stronger, better informed and more empowered than ever before. Those who wish to doze were dozing also in the era of one-newspaper towns and three major television networks. As this article demonstrates and as you’ll find illustrated from the research available throughout the article and in the References section below this statement is incorrect. 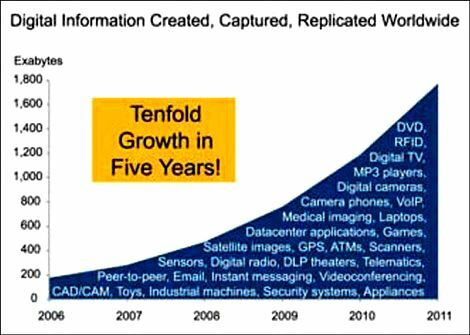 Information production has seen ever-increasing growth, exploding particularly since roughly 1950. Information distribution has grown rapidly since the explosion of newspapers in the 19th century, through magazines, paperback books, telephones, radios, TV, and now the Internet. Both information production and distribution must be considered side-by-side. Information that is produced but not distributed does not contribute significantly to the information explosion. While improvements in literacy in developing countries are creating new audiences for all forms of content, the business beneficiaries are largely (although not exclusively) local firms. Multinational conglomerates aside, most North American publishing companies have to depend for the most part on their own country first, and, to a lesser extent, some export sales. Publishers are in the midst of an unprecedented era. More content is being created than ever before, and more channels are available to distribute that content, while at the same time population growth remains modest and business growth is not providing sufficient advertising revenue to support all of the new channels’ distribution efforts. The implication is that the heyday of mass-media has peaked and passed. New content will continue to accumulate at an increasingly rapid pace. The distribution challenge becomes how to still make a business success in reaching one customer at a time and addressing their individual requirements. The impact of the information explosion is enormous and far-reaching. We currently find ourselves as its victims. Yet I firmly believe that the web itself will one day provide the solution to the problem. The semantic web, as proposed by the World Wide Web’s founder, Tim Berners-Lee, is to my knowledge the key tool with a sufficient following to begin to address the simple problem: if we cannot know everything on a topic, then let us at least know that which is most credible and relevant. More solutions will emerge over time. In the meantime we’ll be gasping for breath whenever we try to become authoritative commentators on a subject of wide public interest. A famous study by faculty and students at the School of Information and Management Systems at the University of Berkeley. Professor Hal Varian of the University of Berkeley and his colleagues set out to answer the enormous question “How much new information is created each year.” This team of researchers estimates that the world’s total yearly production of information in the four physical media of print, film, magnetic and optical content would require roughly 1.5 billion GB of storage, the equivalent of 250 MB per human. Where possible, they have also compared their findings to their similar study done in 2000, to find out how much the amount of information had increased. Read on…and try to get your mind around this one! The key program underway from the Center is intended as the follow-up to Dr. Varian’s work mentioned above. Called, of course, How Much Information? (or HMI? for short), the long-term research project addresses: “What is the rate of new information growth each year? Who produces the greatest amounts of information annually? Individuals? Enterprises? How does information growth in North America compare with growth in other geographies, markets, and people globally? Some of the first research briefs are now available for download. 3. How Much Information Is There In the World? A shorter and more modest paper on Varian’s topic, probably written about 1997. 6. Was I Right About The Dangers of The Internet in 1997? In 1997 Shenk published a book called Data Smog. He explains the genesis of the book: “…while doing research in Washington into public political knowledge, I started to realize that our postindustrial society was in the midst of a true phase shift — from information scarcity to information glut. Even for a culture with a basic faith in human progress and technology, such a transformation clearly presented serious personal and political challenges.” This article revisits his study and its conclusions a decade later: he was mostly right! It’s always handy to have a simple reference nearby when trying to get your mind around the amount of information out there, expressed in computer storage terms. This quotation is attributed often to Mark Twain, who in turn attributed it to the British politician Benjamin Disraeli. The phrase has made its way into the title of several books on the abuse of statistics, including Lies, Damn Lies and Statistics: The Manipulation of Public Opinion in America by Michael Wheeler (published in 1976 and now quite dated), Damned Lies and Statistics: Untangling Numbers from the Media, Politicians, and Activists, by Joel Best (followed by More Damned Lies and Statistics: How Numbers Confuse Public Issues), and the 1954 classic How to Lie with Statistics by Darrell Huff. I’m very aware of this issue in my work on this website, and try as hard as I can to find data from multiple sources before putting forward an argument. “Named for the challenges we all face managing the information that comes at us everyday, from every possible direction, making human attention a scarce commodity, this blog serves as a quick reference point for coping with information overload. See what we are up to – cool events, breaking news, interesting trends and industry commentary – in the spirit of providing relevant information to help you work smarter, faster and better.” Not frequently updated…I’d like to find something better.